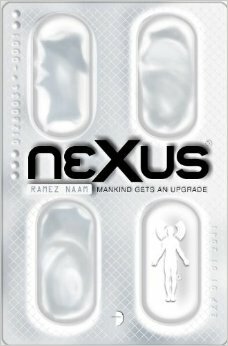 Nexus is a novel where I loved the premise but wasn't a huge fan of the way it was written. The premise is that there's a new recreational drug that basically allows you to connect your mind to other people. Throughout expansion of the drug people start to connect to each other's minds and gain control of their own. They even start running computer programs in their own heads. It's a really cool setup and I loved that part of the book, it just took a long time for things to actually happen. The pacing was not good. There were some action scenes but they were divided by lots of scenes with characters just thinking about their actions in uninteresting ways. The worst part of the book was that there was no good conclusion. I didn't realize this is the first part of a series. It doesn't stand alone all that well and I'm not going to read through another book with that pacing. So, I guess I'm done with Nexus and the follow ups. The premise is so cool and I wish I could recommend this one but I can't.